It’s starting to become a habit for the CSL’s top division to have a load of lucrative signings going into the season. Cedar Stars Academy led the way again this year in bringing in prominent players, acquiring former Trinidad and Tobago international and ex-Columbus Crew defender Julius James and landing in Bledi Bardic on loan from the New York Cosmos. Lansdowne Bhoys went to their native land Ireland for talents as expected and inked former pro winger Jack Doherty. New York Greek Americans signed former D1 college standouts as usual. One of the Greeks’ most notable ex-collegiate player is 2017 University of Kentucky topscorer Noah Hutchins. As for players swapping CSL teams, the league saw some expected unexpected Lansdowne-NY Greeks and Cedar Stars-Lansdowne transfers again. Right midfielder Samuel Gehman departed from Cedar Stars to become a Bhoy. Tom Wharf returned to NYGA after spending five successful seasons with Lansdowne. Sikele ‘Kele’ Sylvester went back to Lansdowne as well after leaving the club to join Cedar Stars last year. CSL giants Cedar Stars Academy didn’t sign as many players as last year but still made their voice heard, welcoming in New York Cosmos 2018 NPSL topscorer Bledi Bardic and former MLS defender Julius James. Lansdowne Bhoys lost three players who helped them tremendously in winning the league last year: starting left back Jean Voltaire, one of the league's best center backs Tom Wharf, Pat McCann and Joseph Lopez. To challenge for a consecutive CSL title, the Irish club brought in two old faces, Kele Sylvester and Karim Russell, their rival Cedar Stars’ winger Samuel Gehman, ex-League of Ireland left midfielder Jack Doherty plus 13 more players. 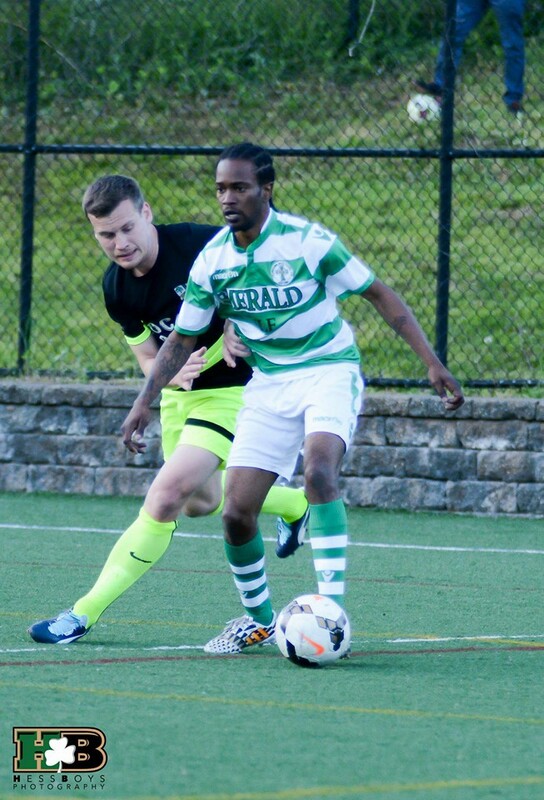 Sikele Sylvester returned to Lansdowne Bhoys after spending a season with Cedar Stars Academy. The Greeks will use the services of five more former DI college players this season, which includes University of Kentucky 2017 top scorer Noah Hutchins. NYGA snatched talents from their fellow Cosmopolitan teams also, taking in Tom Wharf from Lansdowne, Sean Reilly from the Rocks, Charlie Ledula from NY Pancyprian Freedoms and Phil Bannister from the Stars. 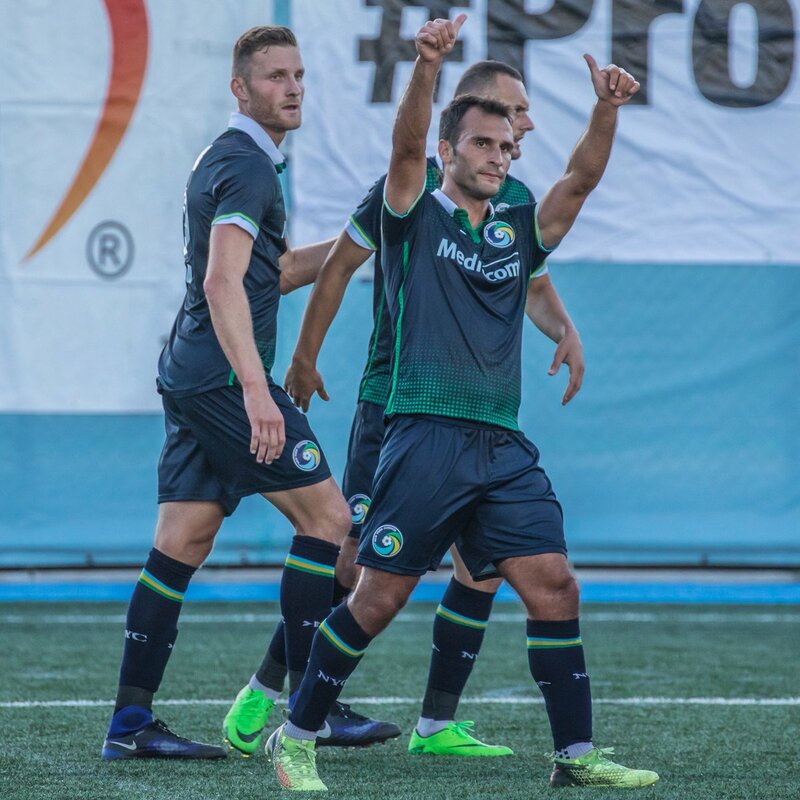 NY Pancyprians will be without many of their key players from last season as their second top scorer and assist leader Daniel Bedoya exited the club alongside strikers Charlie Ledula and Ryan Scheiderman. The club did a fine job in replacing the players they lost, bringing in pacy midfielder James Nealis from the Greeks (what’s a summer transfer list without a Pancyprian-NYGA transfer?) and two players from the Cosmos on loan, fullback Jonathan Borrajo and keeper Hector Guerrero. 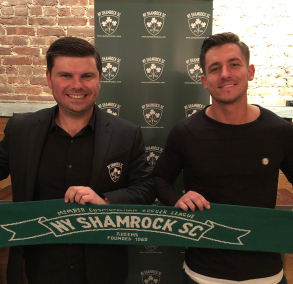 Shamrocks signed five new players, which includes ex-Stony Brook defender Barnabas Marko and Irish duo and former DII college players Mark Roche and Dylan McCabe. As for the players they lost going into the season, 2016-17 Shamrocks Player of the Year Giuseppe Barone departed from the club to go on trial in Spain and last season’s starting right back Ethan Evans is now playing for SSVg 09/12 Heilienhaus in Germany. Central Park Rangers’ top two new signings are former Siena College center half Milorad Sobot and ex-Quinnipiac playmaker Raphael Carvalho. NY Athletic Club’s two most prominent new players are Rafik Mekhaldi, who played three seasons for Cornell University and Amara Sesay, who netted 18 goals in 17 matches for Wheaton College last year. Promoted side Hoboken F.C only brought in three players but one of them is one of the top summer new signings thus far, Colin Stripling. Stripling played four seasons for D1 college powerhouse Monmouth University, where he made the MAAC All-Rookie Team in 2013 and the All-MAAC First Team the following season. Zum Schneider F.C joined the list of CSL teams with New York Cosmos players as they inked Ivan Berterama alongside 10 new players from elsewhere. Doxa SC last year’s captain Patrick Alvarez parted away from the club to play for CSL D2 side Real Ole F.C. Nicolas vonEgypt transferred to Real Ole alongside Alvarez. On the flip side, Doxa scooped midfielder Calvin Moyes and keeper Robbie Webster from Shamrocks and added an Adelphi University alumn, Joseph Sanchez, to their roster. Sanchez won the NE10 Most Outstanding Player in 2016 with Adelphi.